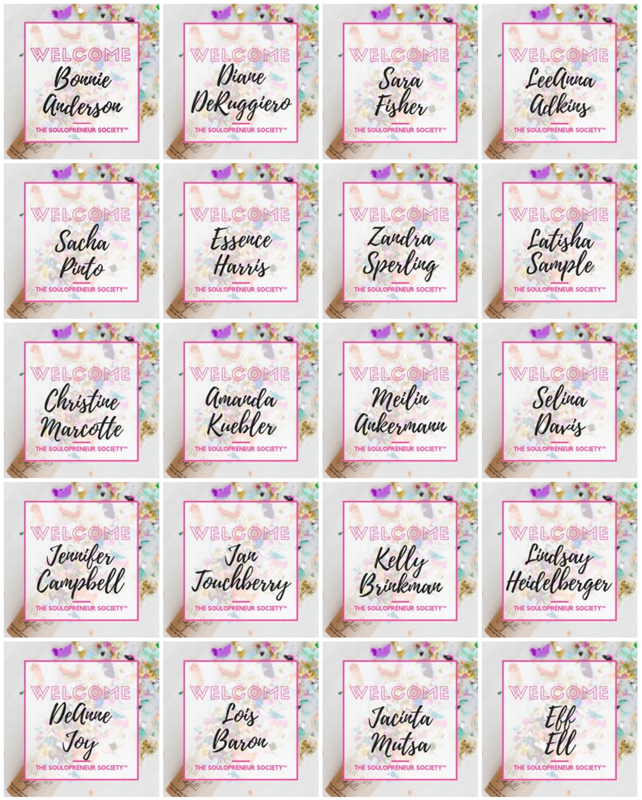 My itty bitty Soulopreneur Society…. isn't itty bitty anymore! My itty bitty Soulopreneur Society --- my coaching membership community --- isn't itty bitty anymore! When I came online 5 years ago to learn how to grow my biz online and not in-person I invested a TOOOOOONNNNN of money in coaching + courses. It averaged out to $20,000 per year, OUCH! I thought the more I invested, the more I would learn, the more I would earn. The more would ''come back'' to me in revenue and clients. At one time I think I was paying 5 different coaches all at the same time! A few months ago I go FED UP with the coaching industry and the premium model. It just seemed to be OUT OF CONTROL and if that was the way it ''worked'' frankly I didn't want to be a part of it. And that's when I realized it's the exact reason I have to keep going -- be the solution to the problem! Don't try to ''fix''what's broken, create a BETTER model to serve those who have a heart to serve but not 100s to 1000s of money to invest each month on mentorship. I know it's possible to reach my BIG income goals working with clients for as little as $37/mo --- because my business is BUILT around continuity! My biz started to feel REALLY GOOD when I stopped worrying what my coaches thought I should do and did what I thought I should do. I don't even need/want a business coach anymore! I created the perfect coaching program for my clients and in-turn created the perfect support system for ME! Who knew I didn't need to FIND what I was looking for, I just needed to create it! And you know what else I did? I joined a reasonably priced mastermind led by life coach Maru Iabichela called REAL POWERFUL WOMAN and I rarely ask her for business advise. Because being a good business owner is about being a good person with your priorities in order. I love that my business is built around providing accessible, affordable HIGH LEVEL coaching to empower others. I love that my clients love me and don't want to find another coach once they start working with me. THANK YOU to all my new clients who trusted my leadership and joined The Society in faith that it would help you grow your business... it will! p.s. what can you do NOW that feels right to you + your biz?